Watch | Does the Absence of Defence Reforms Endanger India’s National Security? 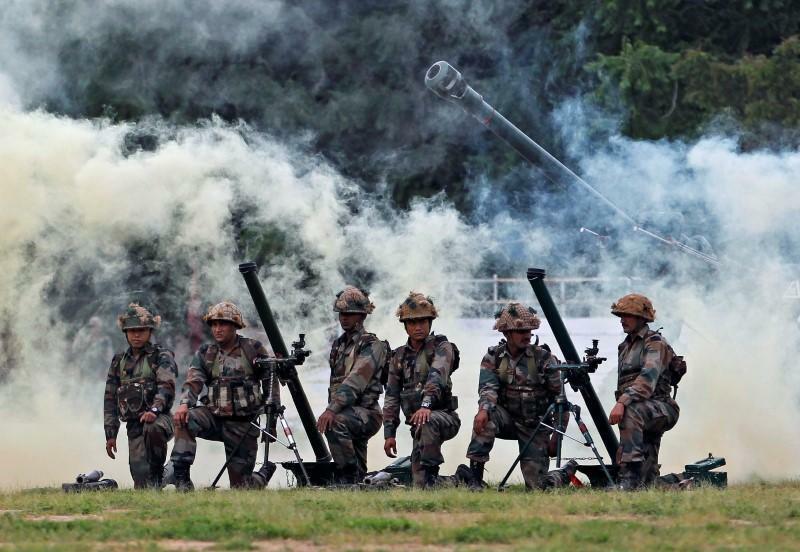 On April 18, 2018, the Government of India constituted a new high-level Defence Planning Committee (DPC) to recommend policy measures to improve India’s defence preparedness and national security. Several committees in the past – like the Kargil Review Committee (1999), Arun Singh Task Force (2001), Naresh Chandra Committee (2011) – have made recommendations to successive governments to look into the issue of India’s defence management and preparedness. The CAG report of July 2017 and the latest report of the Parliamentary Standing Committee on Defence, raise serious concerns about India’s defence capabilities and point out lacunae with regard to budget deficits and critical shortages. Can There Be Anything More Daft Than Merging Four Loss-Making PSU Banks? For one, companies with different cultures spend most of their initial years trying to solve human-resource related issues. And this is the public sector, where you can’t even hand thousands of employees the pink slip. That the government has run out of ideas on what to do with India’s tottering public sector banks is clear: Mint newspaper suggests that a merger of four banks is one of the proposals doing the rounds. The four in question are Bank of Baroda, IDBI Bank, Central Bank of India, and Oriental Bank of Commerce. these banks collectively registered losses of over Rs 21,600 crore in fiscal 2017-18, and three of them are in the Reserve Bank of India’s ICU – the so-called prompt corrective action (PCA) category. The only one outside PCA is Bank of Baroda, which, too, can hardly be said to be in rude good health, having just reported its biggest quarterly loss in history – Rs 3,342 crore in March 2018. It was not lost on many observers that Modi’s language closely mirrored that used by the US and Japan. His veiled message was directed at China, and reflected a more widespread concern about how Beijing is wielding its economic and military muscle. Each year, the Shangri-La Dialogue in Singapore convenes defence ministers and military commanders from across Asia, Europe, and North America, along with representatives of defence companies and assorted academic experts and journalists. Over the past two decades, it has evolved into Asia’s premier security conference, where matters such as tensions on the Korean peninsula, terrorism, and nuclear proliferation are deliberated. Keynote speakers in recent years have included the prime ministers of Japan, Singapore, Thailand, and Australia. This year’s keynote address by Prime Minister Narendra Modi, therefore, proved an important opportunity to highlight India’s perspectives on regional security dynamics. ISLAMABAD: The World Bank (WB) has asked Pakistan to stop pursuing the Kishanganga dam dispute in the International Court of Arbitration (ICA) and instead accept India’s offer of appointing a “neutral expert”. The Pakistani daily Dawn reported on Tuesday that the World Bank president Jim Yong Kim had last week advised the government to not take the matter to the ICA. Incidentally, the bank had on November 10, 2016 even picked a US chief justice, the rector of Imperial College, London, and the WB president to appoint a chairman of the court to resolve the dispute over the dam. 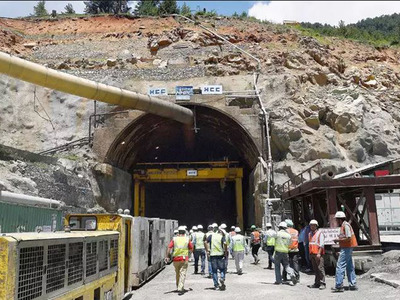 Pakistan had opposed the construction of Kishanganga dam + , considering it a violation of a World Bank-mediated treaty on the sharing of waters from the Indus and its tributaries. New Delhi believes that the 1960 Indus Waters Treaty (IWT) allows it to build ‘run-of-river’ hydel projects that do not change the course of the river and do not deplete the water level downstream. On Friday Pakistan moved toward its second democratic transition of power in its 71-year-old history as Nasirul Mulk, a retired judge, was sworn in as caretaker prime minister for two months to preside over national elections on July 25. He was jointly nominated by the governing party, the Pakistan Muslim League (Nawaz) and the opposition. In a country where generals have directly ruled for 31 years, this would qualify as a cause for celebration. Instead, Pakistanis see the return of “tutelary democracy,” as the military disempowers politicians who stray from its positions on foreign policy and national security, supports a new king’s party and punishes the press for providing fair coverage to its perceived opponents. The current season of troubles began in April 2016 after the Panama Papers had named then Prime Minister Nawaz Sharif’s three children as having purchased luxury properties in London using offshore companies. Mr. Sharif’s name did not appear in the papers. Opposition politicians, including Imran Khan, the former cricket star, whose Pakistan Tehreek-e-Insaaf Party is seen as the military’s favorite, took the case to the Supreme Court. On May 27, two U.S. Navy ships engaged in a freedom of navigation operation near the Paracel Islands to contest China’s excessive maritime claims in the South China Sea. At the Shangri-La Dialogue in Singapore several days later, when asked about the maneuver by a senior colonel from the People’s Liberation Army (PLA), Secretary of Defense James Mattis said, “We do not do freedom of navigation for America alone … it’s freedom for all nations, large and small, that need to transit those waters for their own prosperity and they have every reason to do so.” And yet, despite statements like these and an increase in such operations by the U.S. Navy, China continues to succeed in steadily restricting freedoms in the South China Sea, particularly those of its neighbors. This behavior exacts a direct economic toll on the region’s developing countries, and, more broadly, threatens international law and the United States’ interest in maintaining a rules-based order. Is China’s emerging strategic culture a global threat? During the current decade, China has started looking outward, especially after the Belt and Road Initiative was announced by President Xi Jinping during his visit to Kazakhstan in September 2013. China’s strategic culture has often been described as defensive; the cult of defense, the teachings of Confucius and Sun Tzu and the uncompromised goal of national unification are the hallmarks of Chinese security doctrines. However, China’s strategic culture has changed in the 21st century, shifting from old-fashioned positions to focus more on other features including population, ecology, environment, pollution, energy, economics, and the rights of the unborn. Significant U.S. tariffs on trade goods and restrictions on tech investment will complicate China's ongoing economic rebalancing process. High national debt levels will constrain Beijing's ability to pump investment funds into the economy in the case of a significant trade blow, which will affect companies and industries that rely on U.S. markets and are already operating on thin profit margins. The acute pressure China is facing is only going to harden Beijing's resolve to rapidly develop self-sufficiency in sensitive technological supply chains. A decade after the global financial crisis prompted China to pursue a different economic path, the country continues to push toward a more sustainable model for growth. And now, it's facing a new challenge in the form of massive U.S. tariffs and investment restrictions. 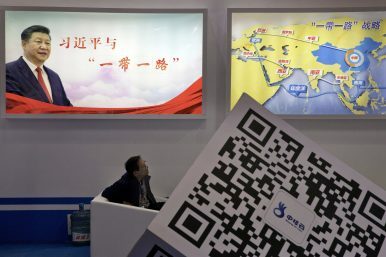 But the lessons China has learned over the past decade will come in handy in its current efforts, and the government in Beijing may be able to manage the Chinese economy better than it did in 2008. China’s 2015 Military Strategy had unequivocally declared the necessity for the country to “…develop a modern maritime force commensurate with its national security needs; to safeguard its national sovereignty and maritime interests, and… for building itself into a maritime power”. The maiden sortie, on May 12, by the PLA Navy’s (PLAN) first home-built aircraft-carrier marked yet another milestone in China’s resolute pursuit of comprehensive maritime power. Designated “Type 001”, this ship will join the refurbished Soviet-era carrier Liaoning, while a much bigger follow-on “super carrier” — the “Type 002” — is stated to be under construction. If each of the PLAN’s three fleets is to have a carrier, China will need 5-6 such ships. What Does China’s Belt and Road Initiative Mean for US Grand Strategy? The United States’ response to a rising China has largely focused on bolstering military capabilities, doctrines, and partnerships in the Asia-Pacific (or, more recently, the Indo-Pacific). This approach misconstrues the problem: it overstates the security threat and understates (or ignores) the economic challenge. To maintain its dominant position globally in the long-term, the United States must reckon with the ambitious geoeconomic endeavor Beijing has launched to project strategic influence across the Eurasian continent, which hosts most of the world’s economic centers and natural resources. Beijing’s islands-building in the South China Sea and their militarisation, replete with surface-to-air missiles, is near complete. With guile, threat, and coercion, China can now seize control of one of the main transport arteries of Southeast Asia, making a mockery of international laws and norms. But there is another prize in Beijing’s sights, an artery that runs straight through mainland Southeast Asia. 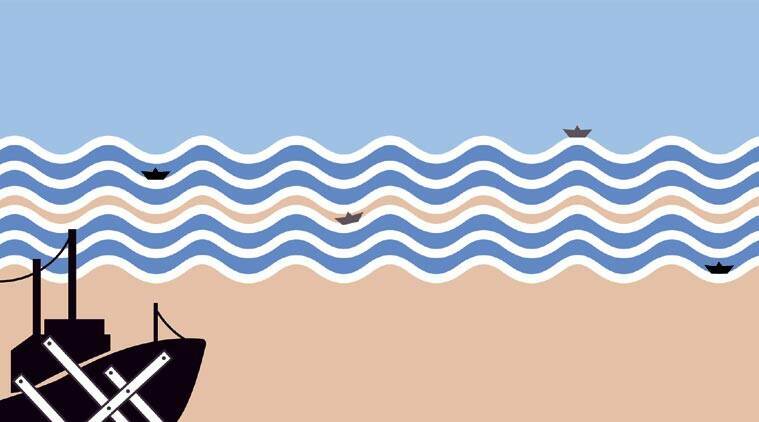 The mighty Mekong River, which starts in China (known there as Lancang), and connects Myanmar, Thailand, Laos, Vietnam, and Cambodia, is a crucial lifeline that nourishes some 60 million people along its banks. Control of both the South China Sea and Mekong River will strategically sandwich mainland Southeast Asia. Indeed, Beijing’s control of Southeast Asian rivers looks set to be the other half of its “salami slicing” strategy in the region. Hundreds of convicted jihadists are scheduled to be released from prison in the next few years, and their numbers will be bolstered by those prisoners who have embraced extremism while behind bars. Prisons can serve as universities of crime for grassroots jihadists who lack terrorist tradecraft, and career criminals who convert will already possess skills useful in attacks. The released extremists will add to the caseload for overburdened government forces working to counter the jihadist threat. Like other states in the European borderlands, Belarus will continue to seek to take advantage of the Russia-West standoff to meet its strategic interests. Moves by Poland, the Baltic states and Ukraine to elicit greater security assistance from NATO and the United States are compromising Belarus’ efforts to serve as a mediator between Moscow and the West. Belarus and the other borderland countries will be unable to escape their geopolitical vulnerabilities, because their fates are shaped by the larger powers surrounding them. 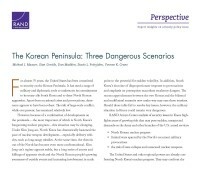 This perspective summarizes detailed analytical work on the implications of a large, survivable North Korean nuclear force; the challenges of North Korean artillery that can threaten Seoul from the Kaesong Heights; and the issues attendant to a potential mission to secure loose nuclear weapons after a North Korean collapse. We analyze the risks of each contingency on its own as well as how they might interact with one another to create exceptionally dangerous, operationally demanding scenarios. Our work suggests that these three major challenges are complicated by two others—the logistical burden and local chaos of a noncombatant evaluation operation and the potential for third-party intervention, especially by China. Our most important finding is that the United States must develop and work with regional allies to shape a wider range of potential diplomatic and military options to deal with North Korea. By all accounts, Spain should be a European success story. As recently as 2012, the country was teetering on the edge of economic meltdown. Its economy contracted by 3 percent that year. Unemployment climbed to over 20 percent, on its way to a staggering 27 percent by the following year. A banking sector collapse was averted only by a 51 billion euro ($60 billion) bailout package from the European Stability Mechanism that June. There was real fear in Europe that Spain might be the next Greece. That fear turned out to be misplaced. Over the past three years, gross domestic product growth has averaged over 3 percent. Unemployment has dropped to 17 percent and is projected to fall below 14 percent next year. The European Commission reported that wage growth in Spain is expected to rise faster than inflation in 2019 – so not only are more people finding jobs, but they are getting paid more as well. The government succeeded in pulling Spain back from the brink, and according to the Bank of Spain, it cost the country itself only 26.3 billion euros – not a bad deal considering that its economy is the fourth-largest in Europe and only slightly smaller than Russia’s. Electronic warfare is the art of the invisible. Or at least, the invisible parts of the electromagnetic spectrum, and the signals sent through it and detected by machines. 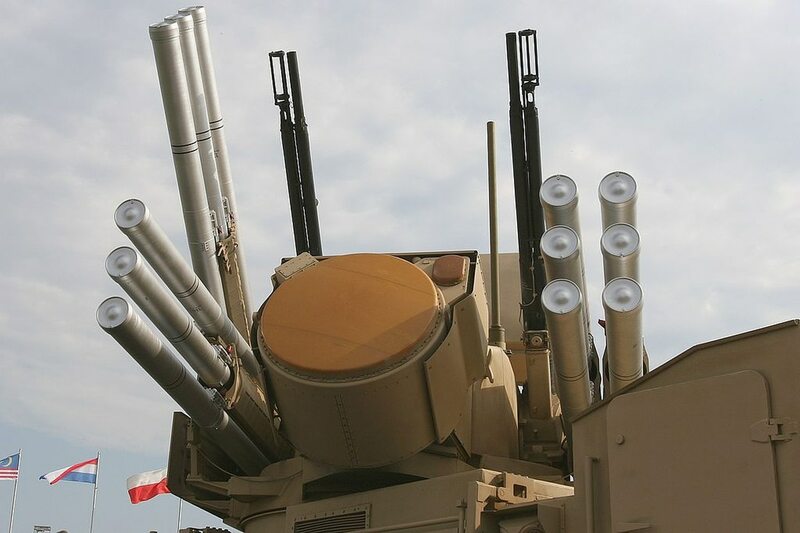 Given the reliance of modern war fighting by the United States and its NATO allies on successful mastery of the electromagnetic spectrum, it’s worth taking a close look at exactly what they might encounter in a near-peer adversary. To get that closer look, we asked Samuel Bendett, a research analyst at the Center for Naval Analyses, to give us the run-down on Russia’s electronic warfare capabilities. What unique threat does Russian electronic warfare pose to U.S. and NATO forces in Europe? George Soros has a gift for knowing when social change is coming—and when the cultural and political processes we take for granted are about to collapse. It’s that sensitivity that thrust the wildly successful investor, political activist, and philanthropist into the limelight for making over a billion dollars by shorting the British pound back in 1992, having correctly predicted that the Bank of England wouldn’t be able to defend itself from an attack in currency markets. Later, his understanding that markets aren’t self-correcting helped him navigate the thorny markets in the aftermath of the 2008 global financial crisis. Now, Soros’ antennae are up again: The multi-billionaire thinks a new financial crisis might be on its way. This time, he’s looking to the unsustainable political and social structures brewing in Europe. After a Major Cyber Attack, Does the Public Deserve an Explanation? U.S. Cyber Command’s cyber teams are now built and transitioning to readiness, and now the force needs a dedicated platform to conduct training. Given the importance of properly preparing cyberwarriors, the Army (acting as Cyber Command’s executive agent for all the service’s cyber teams) has been using a rapid acquisition approach called other transaction authorities to field a training platform. 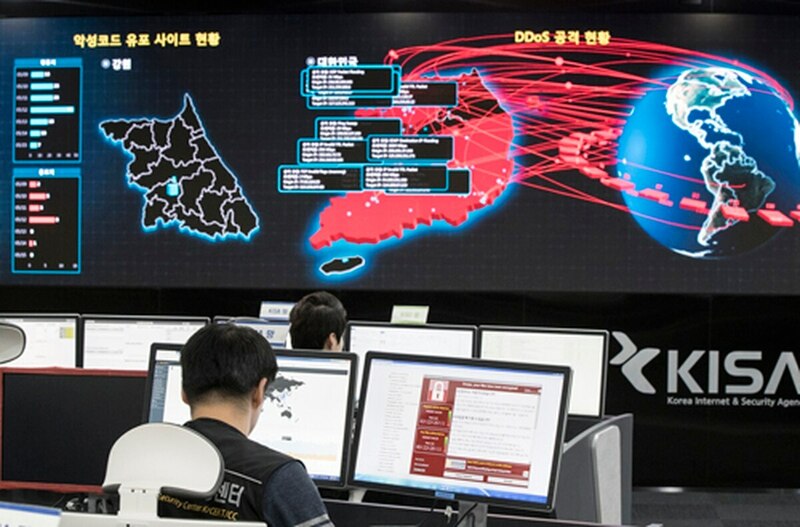 The Persistent Cyber Training Environment, or PCTE, is not a single entity, but rather a complex system of systems that will require many moving parts for individual and collective training, as well as mission rehearsal. Solar home systems can help to bridge the electrification gap in developing countries—if certain conditions are met. About a billion people have no access to electricity. While progress in lessening that figure has been steady, it is still likely to be at least 870 million in 2020.1Expanding the grid is part of the answer to the question of how to bring power to these people, but it is not the only one. Many countries in sub-Saharan Africa and South Asia,2which make up 90 percent of the world’s unelectrified population, are also exploring off-grid solutions, including solar home systems (SHSs). So are countries in the Caribbean and Southeast Asia, which account for most of the remaining unelectrified population. The global market for SHSs has grown 23 percent a year since 2012,3representing more than four million units installed. When Boston was inundated with ransomware attacks in 2016, the local FBI office was at a loss for solutions when business owners called in a panic. The FBI already had their hands full with terrorism investigations and lacked the manpower to track down the culprits. Federal agents basically told the business owners to give in. Joseph Bonavolonta, a then-assistant special agent in charge at FBI’s cyber and counterintelligence program in Boston, told attendees at a 2015 cybersecurity summit that his office was overwhelmed with ransomware reports. “To be honest, we often advise people just to pay the ransom,” he said at the conference, according to SecurityLedger.com. After the panic, the FBI approached the commercial industry for help, said Bill Keeler, a spokesman for Cybereason. What, federal agents asked, could the private sector offer for small businesses to avoid ransomware attacks in the future? The U.S. government and private industry have been stuck at an impasse concerning cybersecurity information sharing for over a decade. While the Barack Obama administration rolled out executive and legislative efforts to increase information sharing, many U.S. companies still argue that the federal government should do more to provide them with useful intelligence on cyber threats. But the U.S. intelligence community argues that greater declassification and sharing of information with private companies could put technical sources and methods at risk. Users will have to "opt-in" to allowing websites to track their browsing behavior on Safari, including sites with a "share" button usually provided by companies like Facebook or Google. Apple will also limit "fingerprinting," or the ability companies to follow specific device activity. There will also be higher level protections against outside companies accessing information on a users' contacts, photos, calendars and reminders. Craig Federighi, Senior Vice President Software Engineering speaks during Apple's annual world wide developer conference (WWDC) in San Jose, California, U.S. June 5, 2017. Apple is introducing more controls to allow Safari users to control who gets their personal information online, including limiting data tracking across websites, the company announced on Monday at Apple's annual conference for software developers, WWDC. Rep. Mick Mulvaney held a 2011 meeting in his office to discuss defense spending after learning that the U.S. Army’s Future Combat System (FCS) modernization program had cost American taxpayers more than $20 billion and produced nothing for the Army. The irate freshman lawmaker (now head of the White House’s Office of Management and Budget) asked, “What came out at the hearings?” Rep. Mulvaney received his answer: There were no hearings. The money was spent and, most important, the money went where it was supposed to go: to defense industries in states and districts across the country where jobs tied to the FCS program were funded. In gratitude for the redistribution of cash to grateful shareholders, re-election campaign contributions poured in. Meanwhile, James Terry, the one-star in charge of FCS until Defense Secretary Bob Gates cancelled the failed program, was rewarded for the $20 billion failure with a second star and command of the 10th Mountain Division. (He was replaced by a certain Mark Milley, now Army Chief of Staff.) Eventually, Terry was promoted to three stars and given command of a corps — so much for accountability.